Recently the Empire Podcast–which is like Top Gear for movies–had a discussion on movies that feature no weapons or fighting, an interesting topic amidst a glut of action/sci-fi/fantasy/superhero/six-pack ab flicks. The hosts listed a bunch, some of which had qualifiers on them, most of which I hadn’t seen. But the first movie that came to my mind was “A Good Year”, a 2006 adaptation of a Peter Mayle novel. The film, directed by Ridley Scott, portrayed an on-screen romance between Jor-El and Talia al-Ghul. (Srsly, it’s Russell Crowe and Marion Cotillard.) For as much as Russell Crowe is lauded in films where he beats the crap out of people, I think this is his best one, and he never throws a single punch. The premise is simple: a British stock trader fat cat guy finds out he inherited his eccentric uncle’s wine chateau in Provence, France. Going there stirs up a ton of old memories, and he begins to question what he really values in life. This flick hits a ton of emotional chords, and has a lot of solid performances in it. Kind of underrated if you ask me, as it’s in my top five of all time. Nowadays when I even try to listen to something as innocuous as the Mormon Tabernacle Choir, I get eight renditions–in a row–of the same Christmas song, in July. It’s not like MoTab doesn’t have a broad corpus of ouevre from which to draw. Nevertheless, I’m glad that their soundtrack stations like Two Steps From Hell and Epic Score still get it right. This gem was first on the playlist a few days ago and I thought it was worth sharing. Hey gang. If you’re following along on Facebook, I’ve been illustrating SUICIDE RUN. What I learned from REBEL HEART is that it’s better to start with the small pieces, move to the character-one shots, and then do the sweeping sketches that will fill entire pages. At present I have 38 drawings left to do–10 character one-shots, 8 illos without background, and 20 full-scale drawings. Of course I’m still writing. I’ve hammered out the rough edges of an outline for a new sooper sekrit project, with a working title of RIDE THE NIGHTMARE. And of course, no sooner do I accomplish this, then does another book idea hit me, and I decide to run with it…one day I’ll learn self-control. At least NaNo is right around the corner and I can use it as an excuse to drive myself insane and blow a fuse in the production department. If my brains start leaking out of my nose, just plug them back in and set me at the desk. I’ll figure it out. This is the second of Trent Reedy’s novels that I’ve read, after STEALING AIR–a middle-grade story about three young boys that build a highly experimental aircraft out of stolen materials, sort of like the Red Bull Flugtag event. DIVIDED WE FALL is a very different kind of book. I’ll save you the detailed rundown, because you can get a sense of what it’s about via Amazon or Goodreads or wherever. 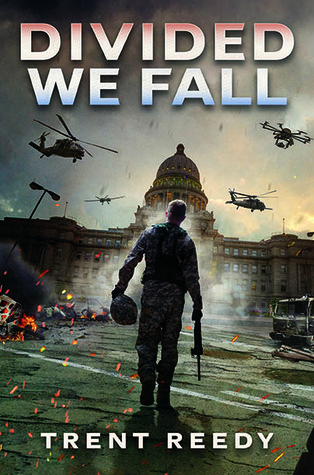 The basic premise is that a 17 year-old member of the Idaho National Guard accidentally fires a shot during a riot, and the ensuing conflict sparks the next American Civil War. Obviously there’s more to it than that. Read the book. It has its pros and cons, and its sense of realism is very much in the former camp. Among its strengths are its timeliness, and how the characters (especially the media pundits and the partisan politicians) will go nuclear on their opposition at the drop of a hat. At the core of the problem is ideological contention, and Reedy does an excellent job of painting a picture where the only possible outcome is an armed conflict. Watching the news and seeing how events are unfolding on the world stage, as well as here at home, it was hard not to read this book and think that things could definitely go down this way in my lifetime–one governor of one state decides to nullify a federal law, and the next thing you know, it’s 1 versus 49, with more fractures to come. I really can’t say more than that without repeating many of the subtle arguments that Reedy presents within the pages of his own book, and for that reason it’s worth the read. 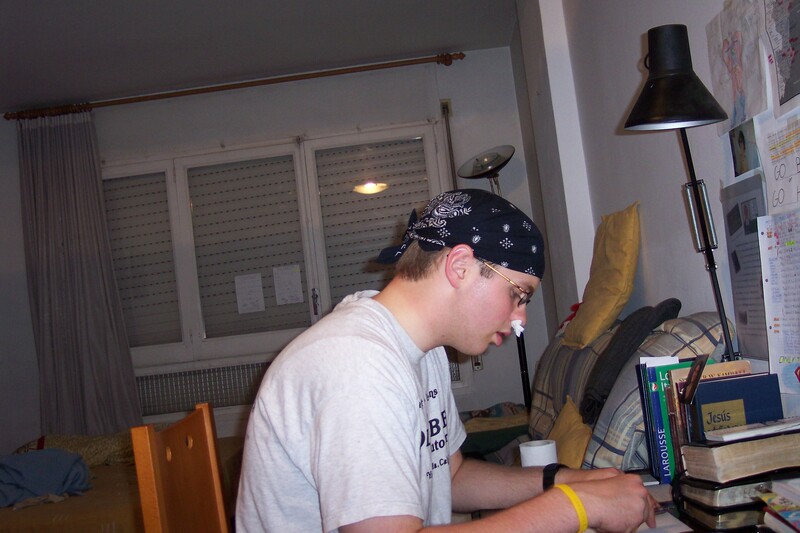 The only real problems that I had came in the form of dialogue; there was a “realistic” level of teen profanity (I generally read YA to avoid coarse language), and a lot of times the speech between characters felt…off. Unrealistic. Could just be me. The drama was very real, though, especially as it pertained to the military and political aspect of the conflict. Trent has a Tumblr that you could follow if you were so inclined.